A patch cable or a patch cord is a short cable used for transmitting electrical or optical signal. It’s most popular type is the so-called “twisted pair cabling”, that is wiring commonly used for establishing computer networks. However, patch cables include a wider variety of products, all of which can be found in MCI offer. Where patch cables are used? Patch cables are used a.o. 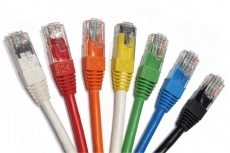 in passive and active appliances connected to LAN, Ethernet, xDSL or telephone networks, so they are commonly used most of all by the ICT sector. They are used for connections both in private houses and in office or industrial premises. What kind of patch cables do we offer? adapter from RJ45 socket into RJ45 cat5e and cat6 socket. 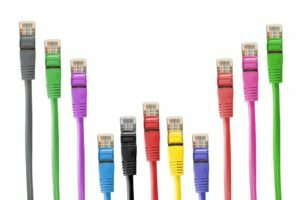 As an experienced cable manufacturer we also offer to our customers a possibility of ordering patch cables according to individualised technical specifications. What are the benefits of our offer? compliance with the EU quality standards. deliveries to any destination in Europe. Our price list and detailed technical specification are available with our consultants. We encourage you to cooperate with us!